As the world continues to focus on sustainability, our definition of environmental sustainability is moving beyond flora and fauna to include the humans in the ecosystem as well. And there is no better front line than the buildings where we spend most of our time. With estimates suggesting that up to 70% of the world’s population will be living in urban areas by 2050, cities are under pressure from all angles to minimise the required inputs of energy, water, food, waste and output of heat, air & water pollution. Buildings and constructions account for 32% of global energy expenditure, are responsible for 19% of greenhouse gas emissions and, based on projections and construction trends, emissions from the building sector could double by 2050 if we carry on business as usual. As environmental, economic and social challenges are now evident, even in high-income nations, transitioning to a sustainable operational model is a priority at the Mayors’ desks. As cities are sources of both environmental problems and opportunities, many are already taking strong actions to meet the sustainability challenge. In the coming year, buildings will no longer be considered green if they only do less harm. More of the places where we live, work and learn will begin to actively and intentionally protect and restore our health. It’s vital that our new buildings are designed and built to be as sustainable as possible and the refurbishment of our existing buildings is one of the greatest challenges we face. 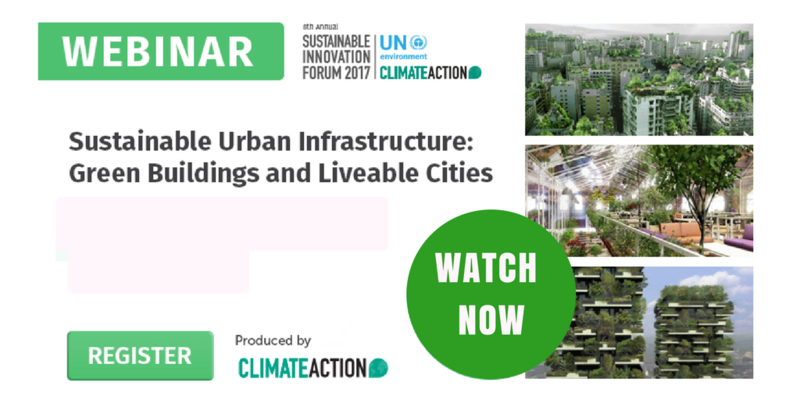 This webinar, held ahead of the 8th Sustainable Innovation Forum on 13 & 14 November 2017 that takes place alongside COP23 in Bonn, gathers influential representatives of the sustainable cities industry to share best practice around how to achieve good quality of life to current residents that doesn't reduce the opportunities for future residents to enjoy too. What is the role and contribution of the government to move this industry forward? How can public, private and third sector work together to achieve a seamless transition to green buildings and the construction industry? 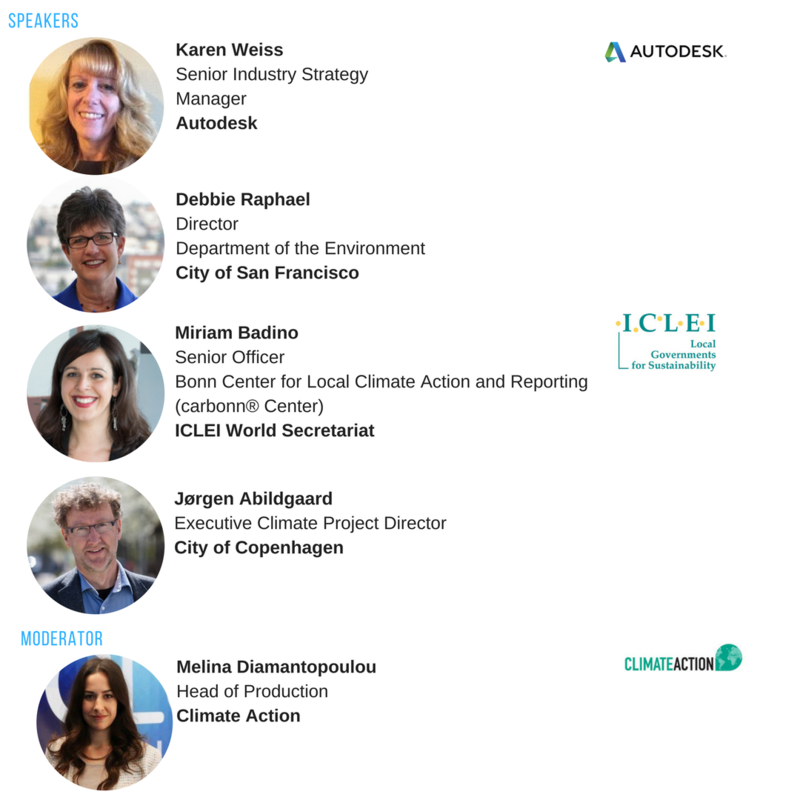 How can we design, construct and operate buildings in a manner that reduces or eliminates negative impacts on our climate and natural environment, while preserving precious natural resources and improve our quality of life? When building space in metropolitan centres is extremely limited, how do we refurbish and adapt existing buildings, neighbourhoods and infrastructure to meet the evolving needs of urban communities? Leadership and social change: How to achieve a behavioural shift by society to change consumption patterns? And anyone interested in sustainable cities! Get your questions answered live!